Elmvale boasts a small agricultural fair with some great attractions, from the heavy horses to the beautiful quilts and live entertainment. If you weren’t there on Thanksgiving Weekend 2016, you missed two especially enjoyable people. 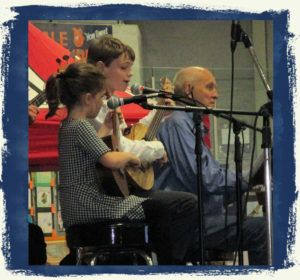 Grace, 5 and her brother Ja ckson, 11, put on quite a show drawing vigorous applause from the audience. There’s certainly no lack of musical skill between them. 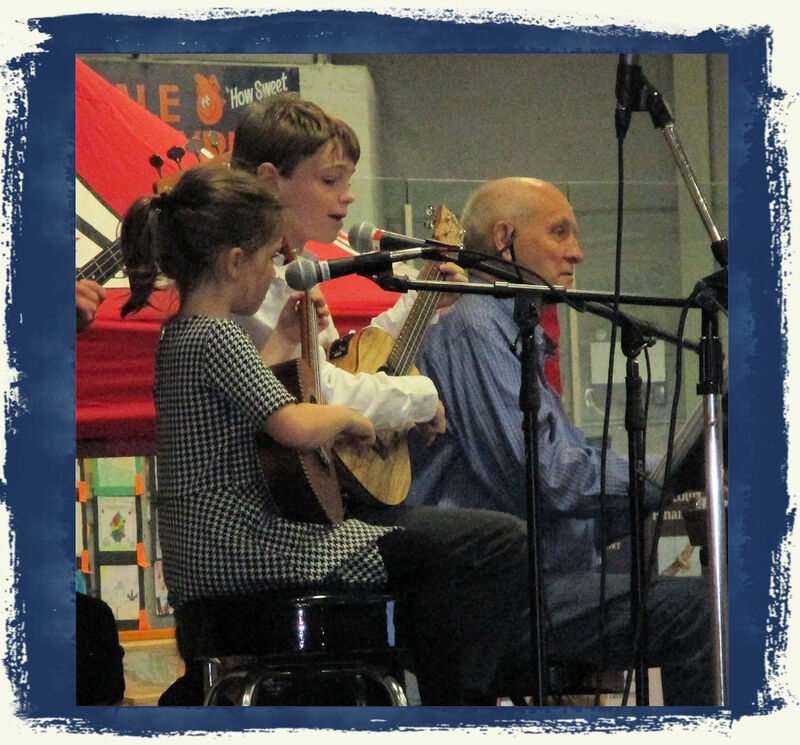 Jackson plays the ukelele and piano; Grace plays the ukelele. They both sing quite well together, too. Waiting for her stage cue, Grace couldn’t resist practicing a few dance steps while her brother played a few country favorites. Her proud father told me, to my surprise, that she had no dance lessons, but is clearly a natural aspiring step dancer. Both gain valuable experience and have tons of fun as members of the local theatre group. 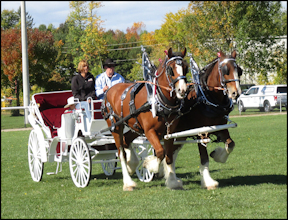 The Fair continued on Saturday with a parade that consisted of impressive classic vehicles including old tractors and fire trucks and, of course horses and a pony. Locals also made their causes known with their various floats. The exhibit buildings were filled with various food samples and wonderful award-winning quilts and knitted items. A few people provided items from the past: photos of WWI soldiers, local families, farm utensils and then-and-now shots. Of course, food is always present at agricultural fairs, bringing prizes and praise for the exquisite jams, tarts and the like. Children had fun creating designs with food items and collecting three-of-a-kind groups – carrots, potatoes, etc. and so much more . Cattle were given their chance to win ribbons, while baby farm animals drew oohs and ahs from visitors.. who could resist the baby goat and the sweet little white llama, only about 4 months old. An agricultural fair just isn’t complete without horses. The heavy horses were quite impressive as they went through their paces before the judge, their polished chrome bridles glistening in the sun. The special attraction for the 156th Annual Elmvale Fair was the FMX Motorcycle Stunt Show with some high-flying antics. Danger galore! If you missed this year’s fair, mark it on your calendar for next year… Thanksgiving Weekend. Elmvale is located about 20 minutes just northeast of Barrie.